London has just been hit by another barbaric terror attack that was not even 10 days on from the horrific Manchester bombing that killed many children. The latest attack is just 5 days away from the General Election. 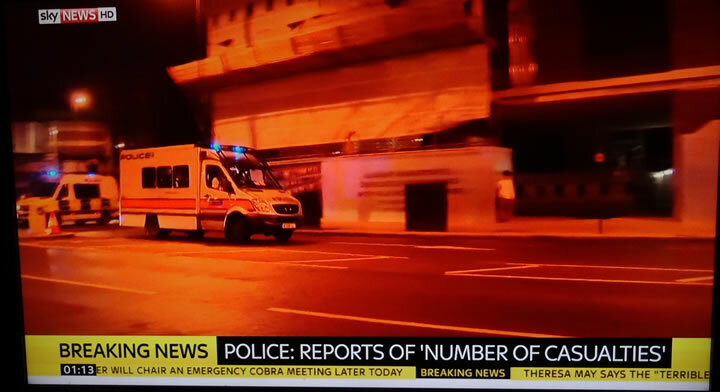 Whilst information is very sketchy at this time barely an hour on form the London Met Police declared 2 terror related incidents at London Bridge and Borough Market. Nevertheless armed police have opened fire on at least 3 suspects, of which at least 2 are dead and 1 is being hunted. The police also announced that there are civilian causalities, though the scale of causalities is unknown at this time which hopefully will not be on the scale of Manchester. 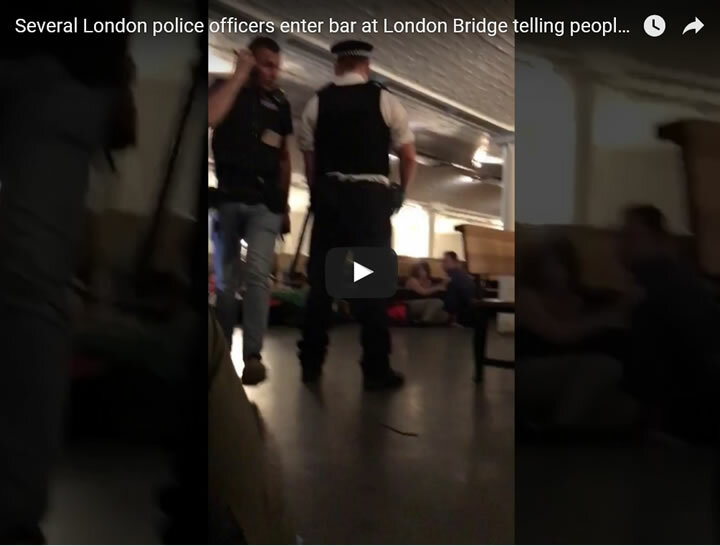 And here is a youtube video clip early on in the incident, showing police entering a bar. Given the timing of this attack just days before the people of Britain go to polls then undoubtedly it is timed to have an impact on the UK general election. So whilst the likes of YouGov forecast that the Conservatives could lose the election by retaining only 308 seats of their current total of 331, with Labour on 261. Which I strongly disagree with i.e. as a minimum I am expecting the Conservatives to increase their seats total as per my series of analysis in the BrExit election series. 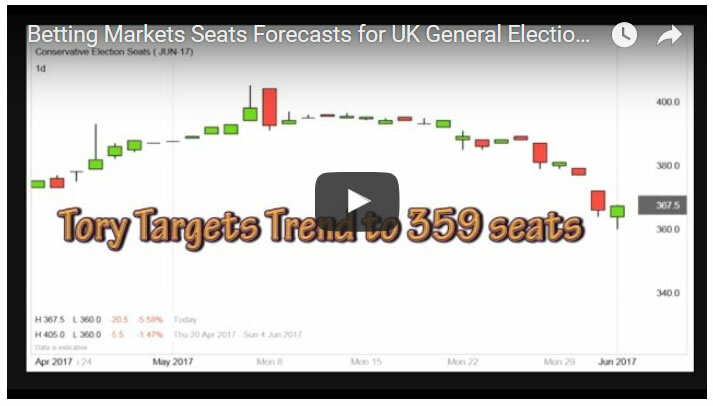 My market skewed perception had accurately forecast the outcome of the UK General Election based on my house prices trend trajectory forecast a good 18 months before voting day! Nevertheless, terror attacks in the final days ahead of the election would be expected to favour the party of Law and Order which in this election means the Conservatives, to what degree is impossible to ascertain, probably no more than 5 seats. Still given that some pollsters such as YouGov are stating that the Tories could even lose seats at the election then an extra 5 or so seats could make all the difference between the Conservatives winning or losing the election to a Labour / SNP Nightmare alliance. 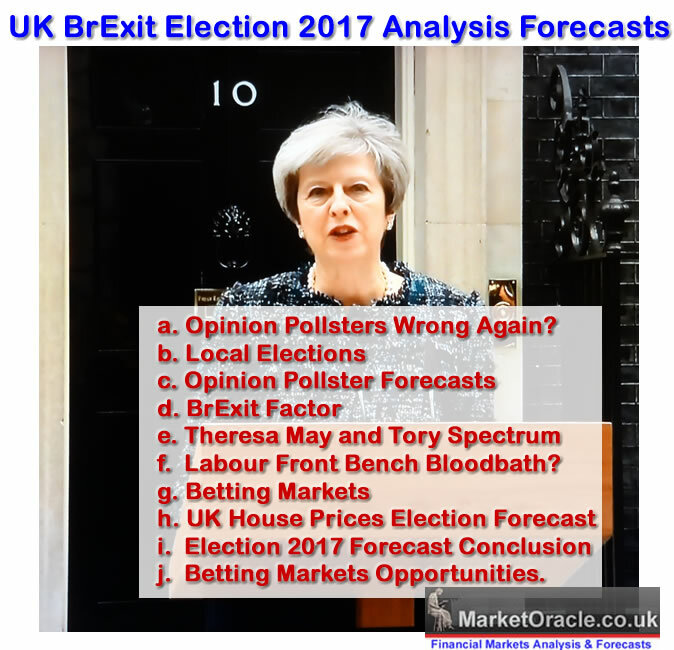 Also see my latest video in this series of what the Betting Markets are forecasting for the outcome of the UK general election. Terror Attacks Are Red Herrings!